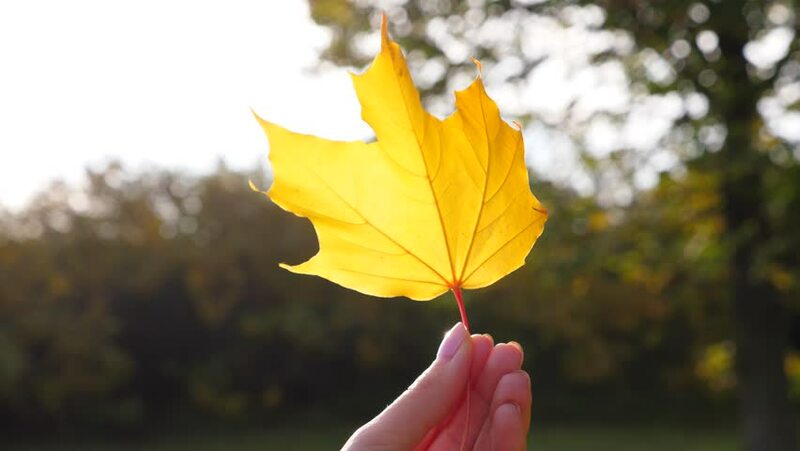 hd00:12Hand hold a leaf of Smooth Japanese maple (Acer Palmatum) in autumn. 4k00:15Young Woman Showing Colourful Autumn Leaf to the Camera. SLOW MOTION 4K. Unrecognizable millennial girl holding orange and yellow maple leaf in front of her. Cinematic fall shot. 4k00:14Fall bouquet of leaves in beautiful womans hands in fall colors.